This recipe I found on Food Network really surprised me. I love fruits and vegetables,but I would have to say that pears are not one of my favorite fruits. I thought I’d give this a try to practice my pastry making skills. It was love at first bite. 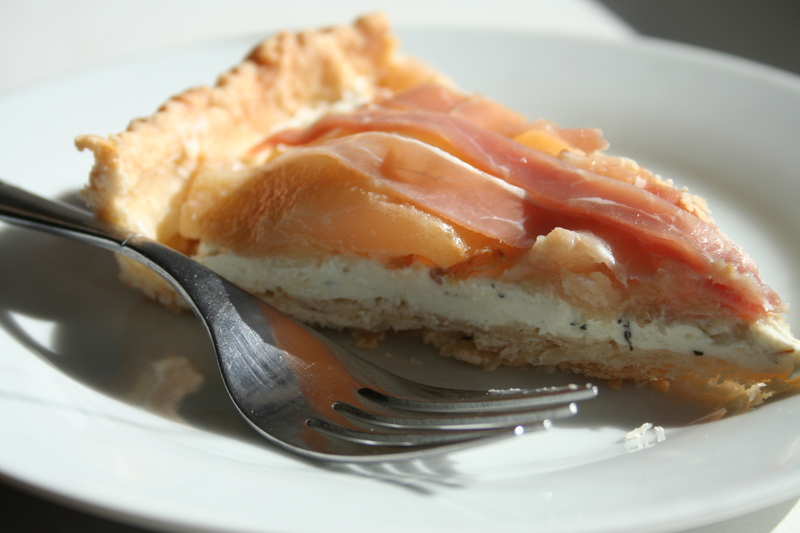 The combination of the tartness of the gorgonzola cheese, the sweetness of the pear and the saltiness of the prosciutto is absolutely divine perfection. This is one recipe I will be making again and again! Enjoy! 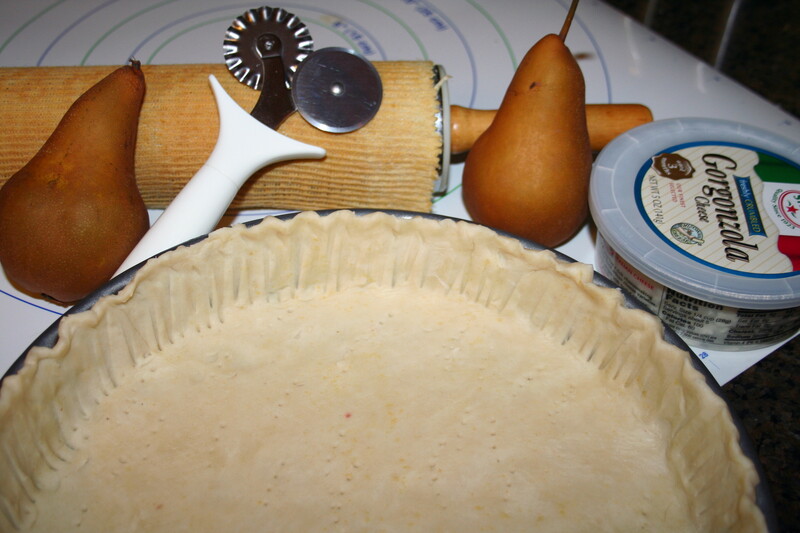 Bake the pie shell in a square or round tart pan according to package instructions. Remove from the oven and let cool slightly. Meanwhile, combine the cream cheese, Gorgonzola, thyme, salt, and pepper in a medium bowl. Using a hand blender, whip the cheeses together. In a large, heavy skillet, melt the butter over medium-high heat. Add the pears and cook until golden on both sides, about 5 minutes. 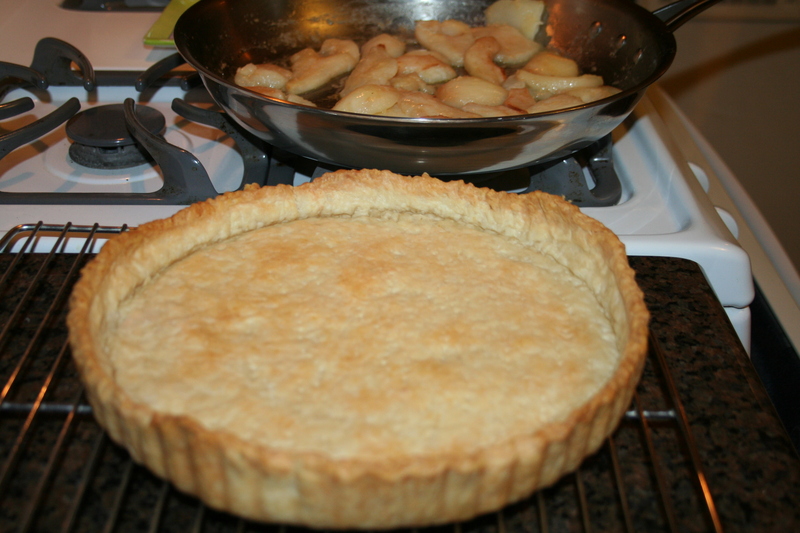 When the tart crust has cooled slightly, gently spread the whipped cheese mixture evenly over the bottom of the tart. Place the pear slices in a decorative pattern over the cheese mixture. Sprinkle the thin strips of prosciutto over the pears. 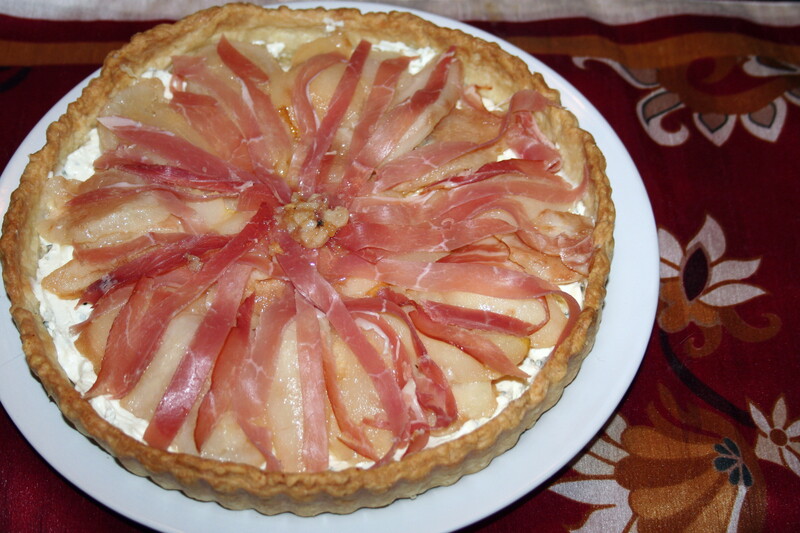 This entry was posted in Pie, Sides and tagged Cheese, Food, Gorgonzola, Pear, Prosciutto, recipes, Tart by Pasta Princess. Bookmark the permalink. Ooooh, what a great recipe, thanks for sharing. Pear and Gorgonzola really are a match made in heaven!